Front Row (L to R): Marcus Ward, Tommy Keith, Brendon Freeman, Jasson Love & Mike Brady. 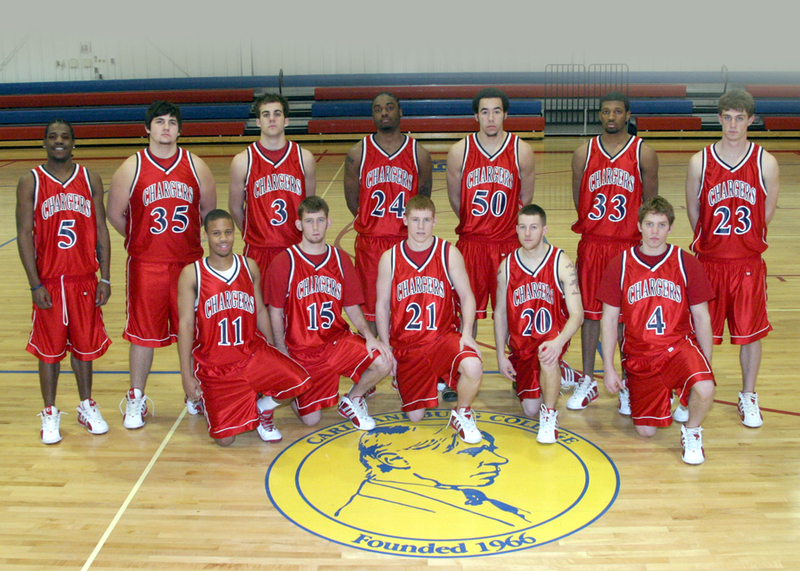 Back Row (L to R): Carlton Hart, Jeff Thurman, Jason Garber, Zach McGee, Curtis Kilgore, Keon Sauls & David Bryant. 3 Jason Garber Fresh. 6' 3" Emden, Ill.
4 Mike Brady Soph. 6' Galesburg, Ill.
5 Carlton Hart Fresh. 6' 1" Detroit, Mich.
11 Marcus Ward Fresh. 6' Park Forest, Ill.
15 Thomas Keith Jr. Fresh. 5' 10" Abingdon, Ill.
20 Jassen Love Fresh. 5' 11" Abingdon, Ill.
21 Brendon Freeman Fresh. 6' Oquawka, Ill.
23 David Bryant Fresh. 6' 3" Macomb, Ill.
24 Zach McGee Soph. 6' 4" Flint, Mich.
33 Keon Sauls Fresh. 6' 4" Flint, Mich.
35 Jeff Thurman Fresh. 6' 2" Abingdon, Ill.
50 Curtis Kilgore Soph. 6' 4" Galesburg, Ill.